Before the housing crash in 2008, a lot of credit cards offered the option to pay mortgages directly. American Express and Bank of America both offered plans, which they have since ended. But don't despair – there are still some ways to use a credit card to pay off a mortgage, but none of them are truly free. The easiest and likely the most expensive way to pay off a mortgage with a credit card is to use cash advance "convenience" checks supplied by your credit card provider. While most cards come with these checks upon first approval, most card issuers will provide cardholders with more checks if you contact them. Since cash advance checks work just like regular checks, that means you can use them to pay off your mortgage just as you'd do with a personal check. However, these checks are usually considered cash advances and often incur an extra fee (usually 3%-5%). Plus since they usually have no grace period, interest starts building immediately. 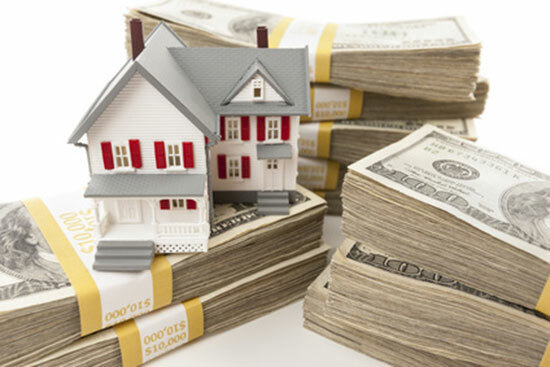 If your mortgage is big, the cost of using cash advance checks could become a significant burden pretty quickly. Some third-party companies offer bill pay services with credit cards at a lower rate. Two of the most popular are ChargeSmart and WilliamPaid, both of which offer mortgage payments for a flat fee. While ChargeSmart has a limited number of mortgage options, you can pay off any mortgage with WilliamPaid. However, ChargeSmart's fees can be slightly lower for larger payments to certain lenders, whereas WilliamPaid has a flat fee of 2.95%, no matter who the recipient is. It's rare, but some mortgage providers may still offer limited services to pay mortgages off with a credit card – it doesn't hurt to ask! If your mortgage lender will offer credit card options, it's important to find out in advance if the company will charge any fee. While there are limited options to pay off a mortgage with a credit card, and none of them are free, there are still some opportunities to use plastic to pay off your home. While paying extra fees is never a good idea, this trick could be useful for people looking to rack up mileage or bonus points in a rush and are absolutely sure they can pay off their balance. Leave a comment about How to Pay Mortgage with Credit Card? A mattress can cost you anywhere from $200 to $2,000. Don't make the mistake of shopping for a mattress before you know what you are doing. Share on Facebook "How to Pay Mortgage with Credit Card"